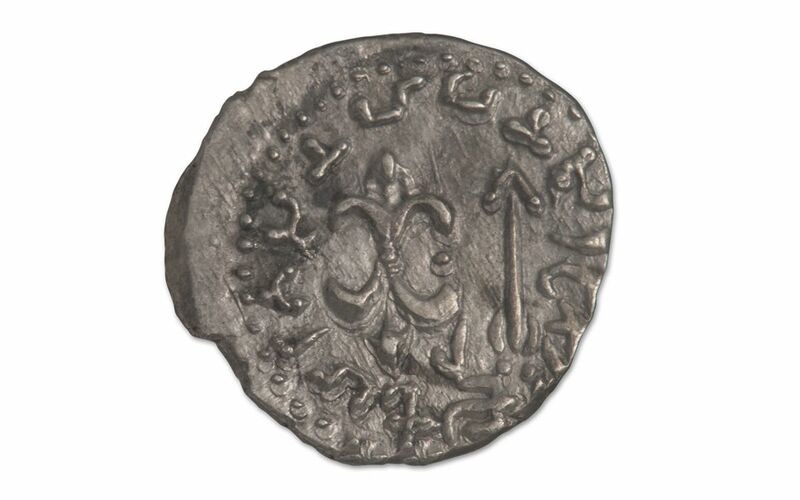 How Did This "Greek" Silver Coin End Up in India? About the size of a modern-day quarter, the drachm represented a denomination that originated from ancient Greece. The "coin of the realm" during several centuries BC and beyond, it was brought to India by Alexander the Great's conquering armies. Because it was so useful in trade, the currency was adopted there, as it was in much of the developed world. That's why this Silver Drachm was struck in what is now India around 100 AD -- this Greek currency made trade possible between Rome and the Far East. 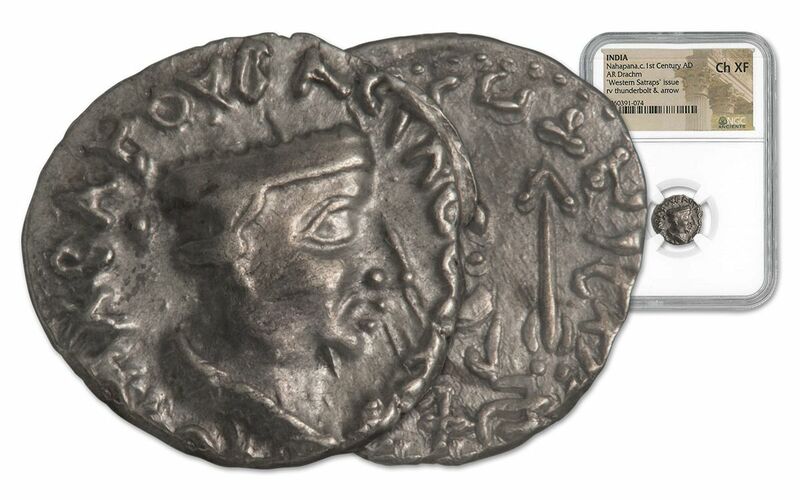 Naturally, since trade went both ways, it was crucial that Drachms were minted on the Eastern side as well! 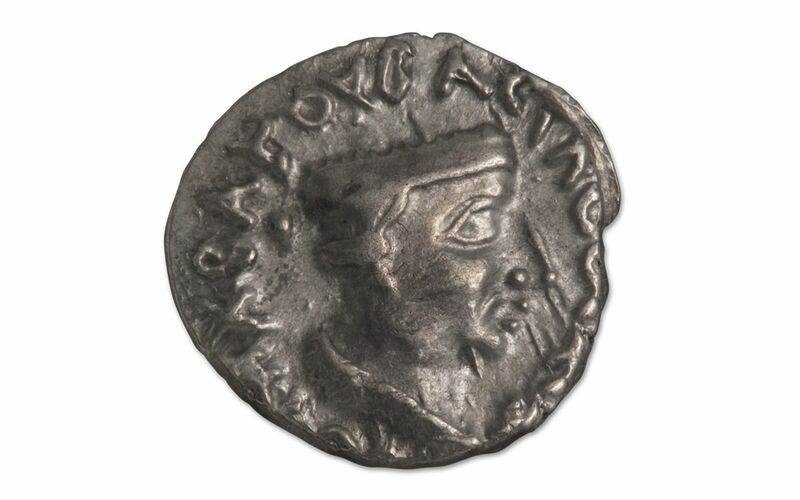 This particular Silver Drachm was minted under King Nahapana, whose image is on the obverse. The reverse displays a thunderbolt and arrow. 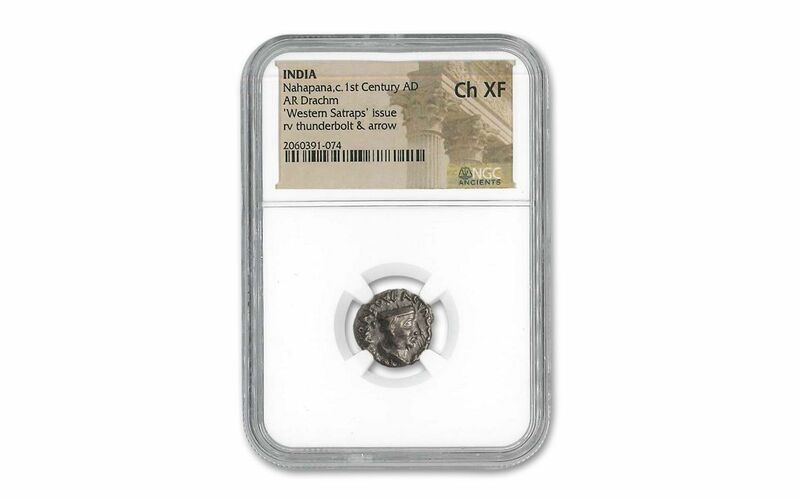 This Drachm grades Choice Extremely Fine (CH XF) by Numismatic Guaranty Corporation (NGC) and comes sealed in an acrylic holder for protection. 2,000 years old and still in great condition, this historic coin makes a great addition to any collection!